Bamee Slow on the corner of Ekkamai Soi 19 has some of the best Chinese style egg noodles in town. Getting there more than an hour after the opening means you most likely are in for some cueing. But don’t worry, the food is absolutely worth the ten to fifteen minutes in line. They doesn’t open before 8 to 8.30 pm, but the good news is that they stay open long into the night. Noodles can be a rather dull experience, or it can be just amazing and an eye-opener to tastes and textures as you will experience at Bamee Slow. The shop actually opened up in the frame of a small street cart many years ago. But due to it’s popularity, which points to it’s quality, they did well enough to be able to open a shop house resto. Not bad if you ask me, and also a classic story behind some of the best shop house vendors in town. 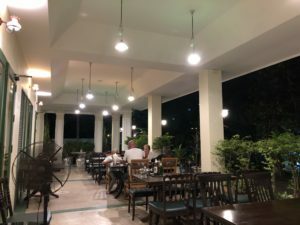 If you’re in for some variations and testing, or need another reason to travel deep into Soi 19, be aware that Wattana Panich serves delicious beef noodles and goat stew just 100 meters away – on the other side of Ekkamai road, just above the entrance to Soi 18. A combination of the two spots is a good way of spending an hour. But back to Bamee Slow, where Ba Mee means egg noodles, and Slow is pointing to the wait for your food due to it’s popularity. In other words, Slow has to be understood positively. The menu has a few variations to choose from, including the choice between the soup version and the dry version. 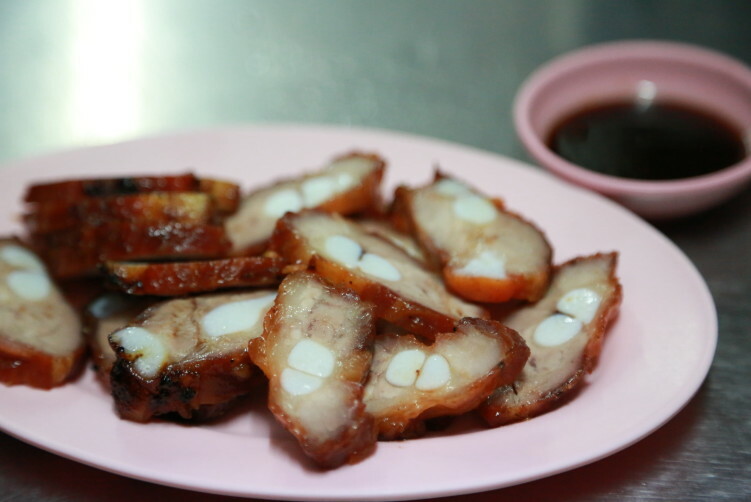 Other options are noodles or (pork) wontons, the double noodle portion, the double noodle with wonton, with or without an egg, with a double egg, and they have barbecued pork. Personally I go for the noodle with wonton and an egg version, topped with minced pork. Sometimes I order a second bowl. I prefer to do it this way, instead of doubling up in one portion, to avoid the noodles and wontons to become soggy in the hot broth, especially if you go there with some company and enjoy the conversation, as I normally do. No noodle dish can get away with a mediocre broth. It’s like pizza can’t get away with excellent toppings if the crust and the sauce isn’t well made. The broth at Bamee Slow has good depth and is rich in flavor. The noodles are freshly made, cooked to perfection, tender and with a slight resistance (al-dente). The wontons with pork are tasty and juicy, with the wrappers made very thin, just as they should be. The minced pork and the red pork pieces are good toppings and adds to the texture. And the egg is perfectly cooked, with a slightly floating egg yolk. And it’s like that every time you go here. I can’t highlight it enough; order the egg. It really adds to the taste and the finishing touch, completing the dish. Quality hopefully never gets out of style, even when it comes to simple Chinese-style egg noodles and wontons. It’s addictive and heavenly good stuff. As always with noodles, it’s up to you to dress your noodles. The condiments are on the table. Personally I season it with a bit of chili and sometimes add a few drops of the vinegar and/or fish sauce. I seldom use sugar as Thai’s normally have a rather sweet tongue. Bamee Slow is no exception in that sense. The barbecued pork (red pork) as a separate dish is good, but nothing extraordinary as the noodles and wontons. Most residents in the area knows about the Bamme Slow, and that’s also how I learned about it, by the word of mouth. And that’s how others learn about it as well. They have tables inside, but most people sit outside. And most tables inside seem to be used for storing anyway. As always when sitting street side there is some traffic. That has never been a problem for me. 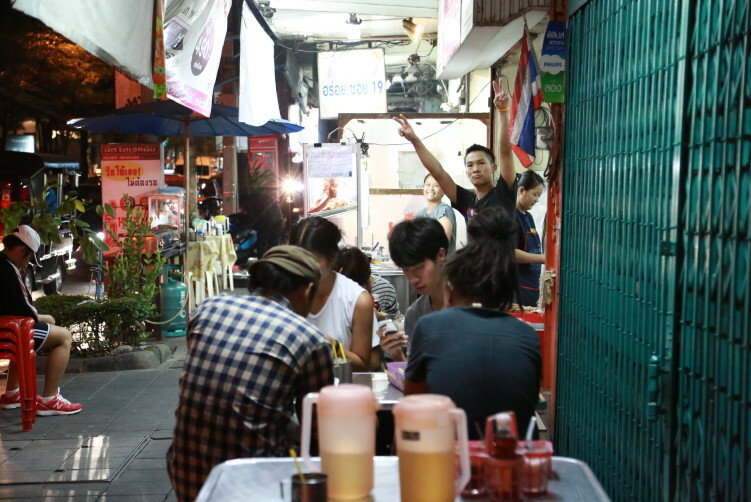 Be aware that the location is rather deep into Soi 63 (Ekkamai), but it’s really worth a visit. And they are open late. 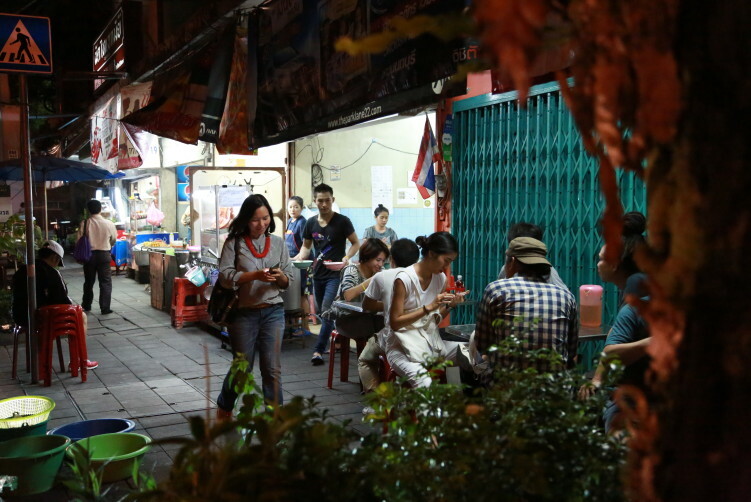 If you’re in for some food on the way back from Thong Lo later in the evening, there is no burger or kebab or any other fast food in traveling distance that will beat the Chinese style egg noodles as Bamee Slow. buy now Name: Bamee Slow (The more official name is Bamee Giew Moo Song Krueang). 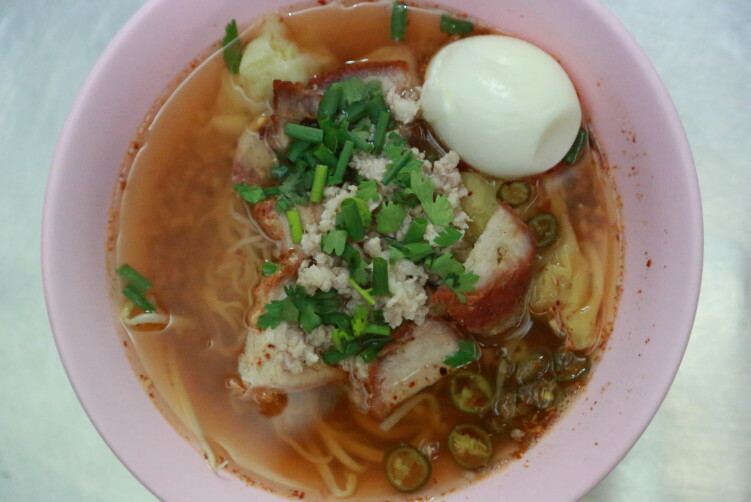 https://globaldevincubator.org/privacy-and-legal/ buy now Price: A bowl of noodles here comes for 60 Baht. Bamee Slow on the corner of Ekkamai Soi 19 has some of the best Chinese style egg noodles in town. Getting there more than an hour after the opening around 8 pm means you most likely are in for some cueing. But don't worry, the food is absolutely worth the ten to fifteen minutes in line. They stay open long into the night.